Worn out from mopping and scrubbing your floors? To help you clean your floors, Viviane's Cleaning & Restoration Inc has been offering professional floor cleaning to homeowners since 2002. You don’t have to scrub those floors on hands and knees or use gadget-mops that don’t perform anymore. Our floor cleaners will happily perform your floor cleaning and see that every inch of your floor sparkles. You can count on Viviane's Cleaning & Restoration Inc to clean floors for any hard-surface flooring material in your house. Don’t wait, call (978) 216-2484 and you’ll see how our crew is meticulous when cleaning floors. The floors of your house get a constant foot traffic that comes along with unwanted dirt tracked in from outside. Viviane's Cleaning & Restoration Inc will fight this endless battle for you and clean those dirty paths! We will remove the built-up dirt from the high traffic areas as well as clean the less worn areas. Since floor materials vary and require different floor cleaning solutions. Viviane's Cleaning & Restoration Inc knows the best methods and cleaning solutions for each floor type. Let Viviane's Cleaning & Restoration Inc be your one-stop resource for washing floors. Give us a call at (978) 216-2484 and our floor cleaner will work wonders on your floors! 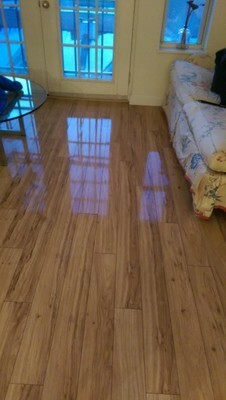 Viviane's Cleaning & Restoration Inc uses superior products for cleaning floors, including wood, tile, laminate. The wood floor cleaners are as safe and effective as the vinyl and slate floor cleaners that we use. Viviane's Cleaning & Restoration Inc’s flooring cleaners are top quality to protect your floors as we clean them. We always leave your home safe and your floors super-clean. After our floor scrubbing, you can say goodbye to dirt and stains and hello to beautiful floors!